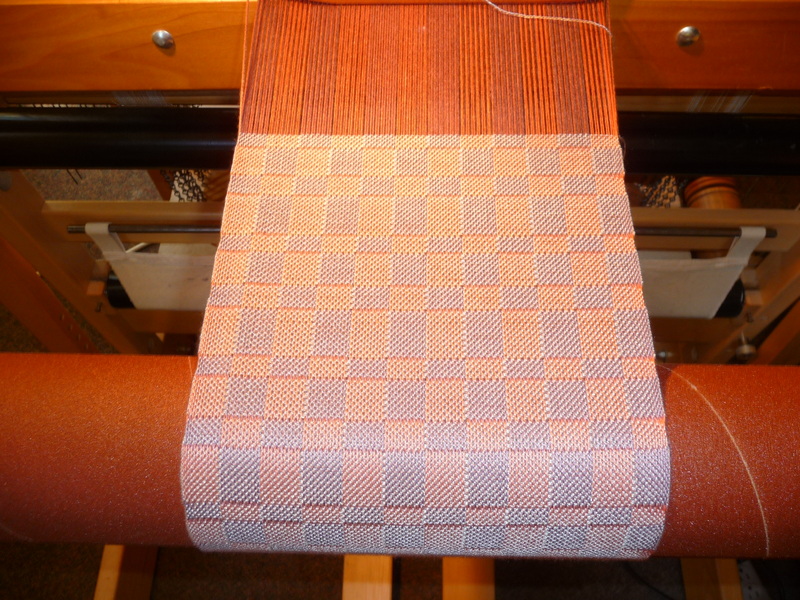 Two colors in the warp (lengthwise threads), one in the weft (crosswise threads). Very simple, and — as it turned out — rather slow to weave. It took me till at least halfway through this first scarf to figure out why. Light bulb! 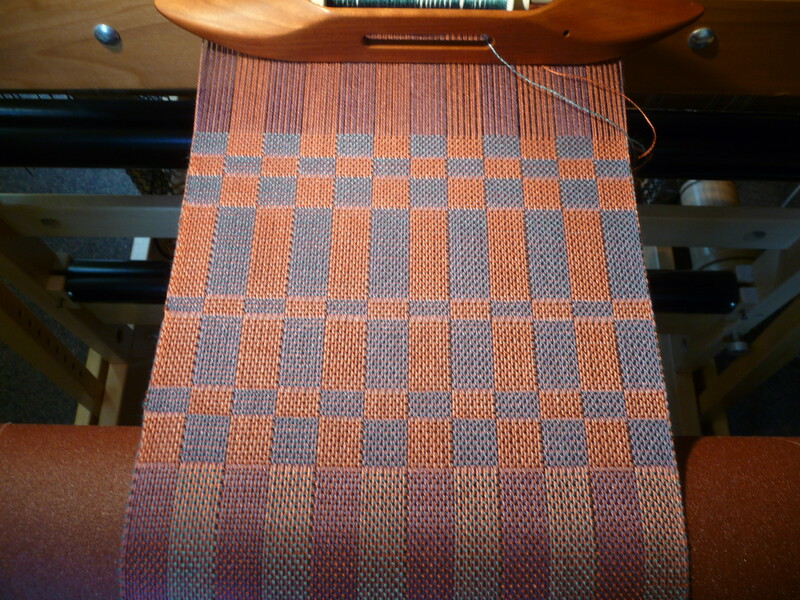 I’m weaving two layers, not just one as I’m accustomed to. This means the shuttle gets thrown twice as many times to fill up a given distance on the warp. Of course it’s slow. 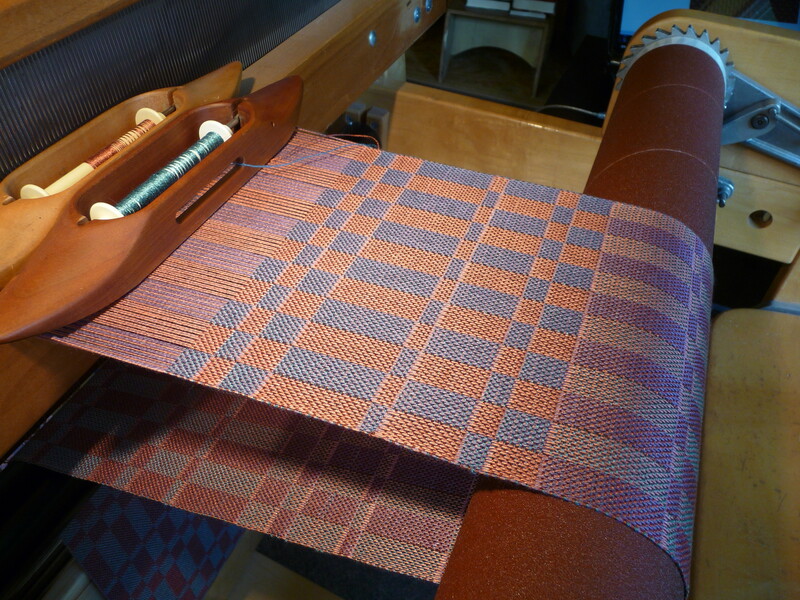 In the close-up you can see the colors of the weft threads. The other change I made in this variation was to set up the block sequence so that the second half of the pattern is the opposite of the first, with respect to the way the colors show. Thus, in the first half, if a block is light, then in the second half it’s dark. Much more interesting, and a bit disconcerting when you study it. As I approached the halfway point of this scarf, I realized I was once again bored, and sincerely tired of these soft colors. 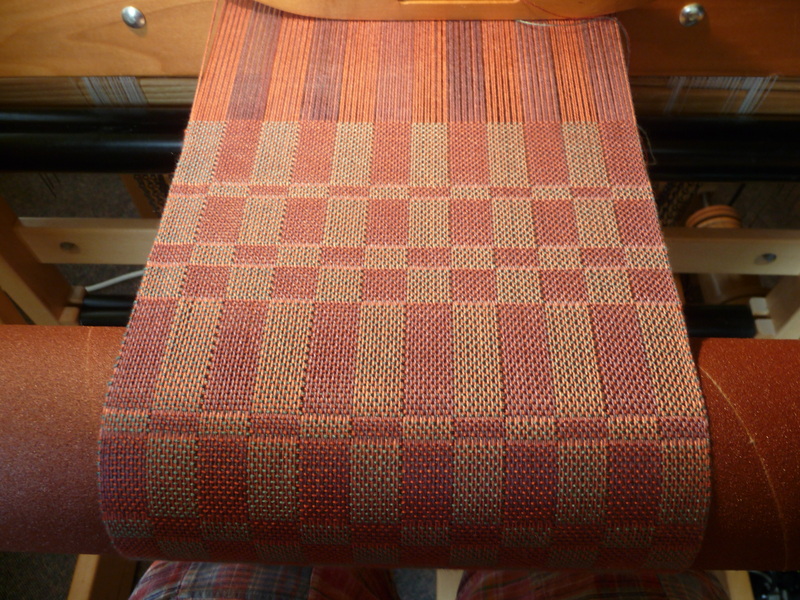 So precisely at the midpoint, I switched the sequence of the two weft colors (ABAB to BABA), which I knew would result in a very different color effect. Near the bottom of the photo, you can see where the switch occurred, and the difference in the color blends. If I thought that the first piece went slowly, I found that the use of two shuttles — alternately, being careful not to pitch one on the floor or get them out of sequence — was even slower. 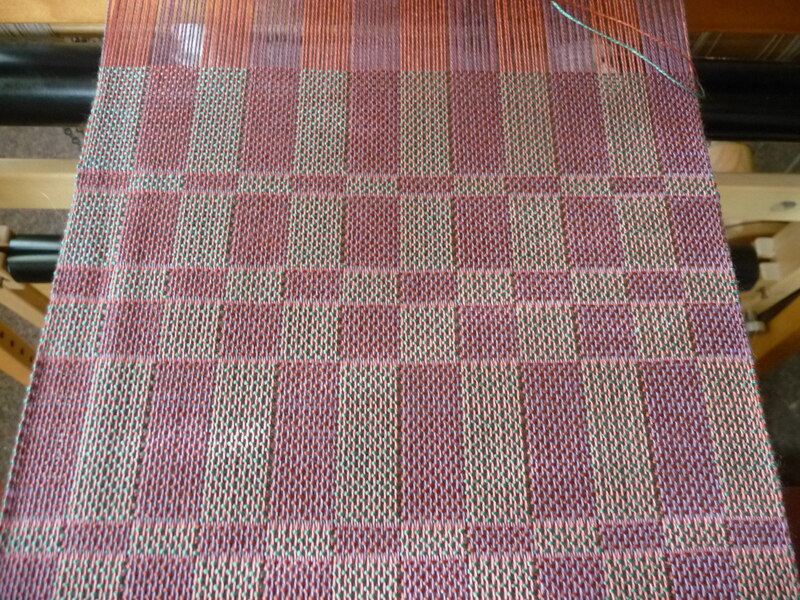 This is not a speedy weaving technique! 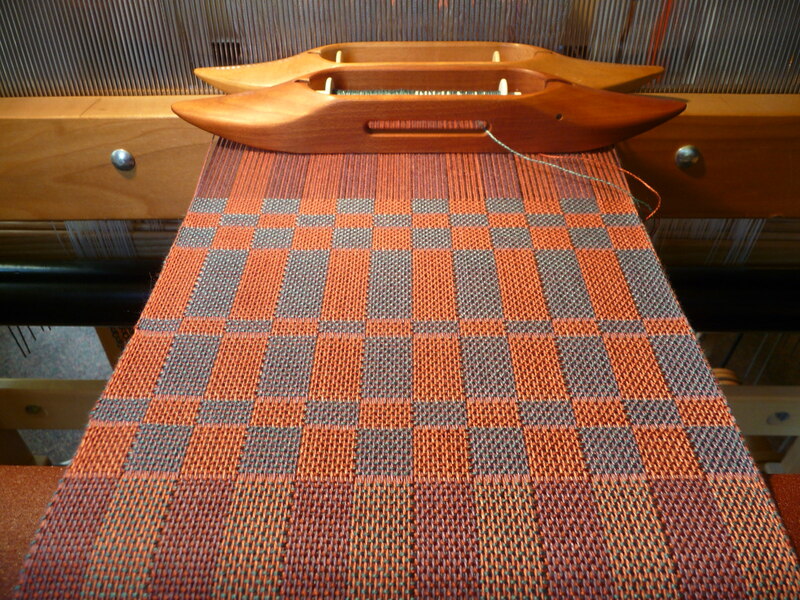 Still, my mind is awhirl with a series of next steps in the exploration and a long-range idea of a very particular way I hope to use the double weave process. Watch this space for further developments. I love both in that they are really different from each other … but I think I prefer the darker one best. Lovely work Anne! I want to see this up close and personal! Beautiful, beautiful! 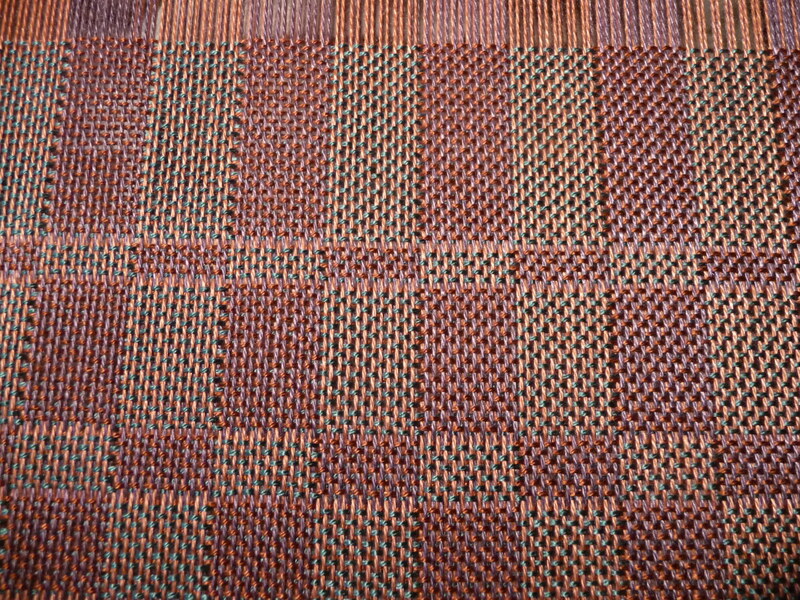 Love the double weave and the options you selected to vary the pattern. I am fascinated by the technique and have it on the list to try. 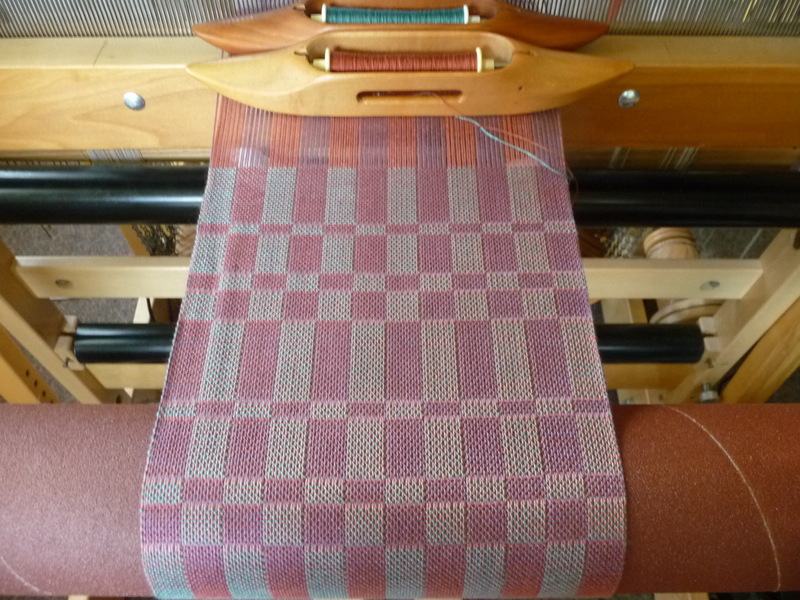 I am sure it is very slow to weave, but produces fabulous results.